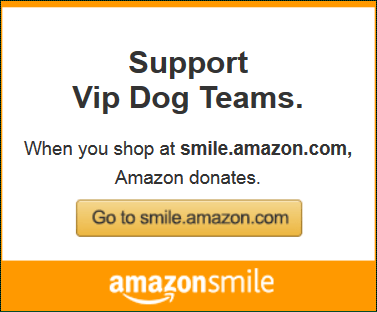 VIP Dog Teams – Very Important Dogs Assisting Very Important People. VIP Dog Teams focus is on Training Therapy dogs for Goal Oriented Therapy (G.O.T. Dogs). VIP Dog Teams is now working in Collaboration with the Ventura County Sheriff's Office and the Ventura County Animal Services. It's a triple win, we are rescuing dogs from the shelter, teaching the inmates how to train the dogs and placing a dog into a forever home with someone who wants to adopt and do therapy work with the dog. We also have programs to train therapy dogs owned by members of our community to then go out and serve locally. Lastly, we conduct an active educational outreach program to improve public sensitivity to people with disabilities. Donate $5 a month to make change in your community. Nelson is ADOPTED!!!! He will have an amazing life with his new family. They are active fun people! Happy Life Nelson!